How Are Air Handlers Different Than Air Conditioners? While air conditioners work by dehumidifying and cooling an area through a simple refrigeration process, air handlers circulate air through the ventilation system in your home or building. If you are looking for a traditional air conditioner or furnace, you won’t need to know anything about air handlers, because they aren’t part of a traditional system. 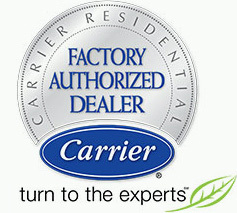 If you are looking for an electric heat pump, an air handler will most likely be involved. Are There Different Kinds of Air Handlers? Small handlers, known as terminal units, only include air filters, coils, and blowers. These units are known as fan coil units or blower coils. Larger air handlers, like those used for commercial spaces, condition outside air and not recirculated air; these units are known as Makeup Air Units (MAU’s). There are also rooftop air handlers designed specifically for outdoor use, known as a rooftop unit (RTU’s). 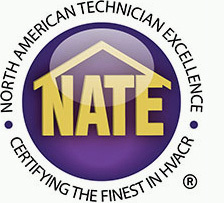 Is an Air Handler the Same as a Furnace? Because air handlers have strips that provide heating power, they are often incorrectly referred to as ‘electric furnaces.’ A true electric furnace works differently than an air handler. In fact, the heat strips in an air handler exist to provide heat when it gets a little chilly outside, but it cannot provide the heat that a furnace can. Air handlers allow you maintain your home’s comfort quietly and economically no matter the season, especially in a climate like Palm Beach, Fla. where an electric furnace isn’t necessary. If you are interested in bringing the comfort and efficiency of an air handler into your home, contactor visit Palm Air AC today.